A Fibreglass Reinforced Plastic grating moulded has multiple applications in industrial, corrosive and chemically hazardous environments. This type of Fibreglass Reinforced Plastic grating is cast in a mould (moulded). It is a composite material consisting of layered fiberglass overcast with a polyester or vinylester resin (65%). The specific production process ensures that this type of Fiberglass Reinforced Plastic grating has optimal strength in two directions. Furthermore, this FRP grating has excellent corrosion resistance. 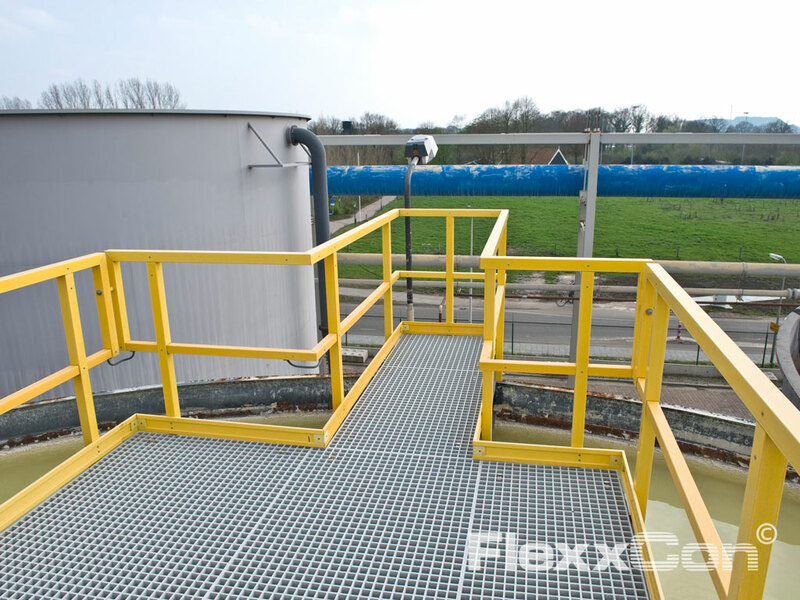 The performance of moulded Fibreglass Reinforced Plastic (FRP) grating is excellent and reliable, even in the most demanding and corrosive conditions. The unique properties ensure it has excellent corrosion resistance in a wide pH range of both acid and corrosive substances. 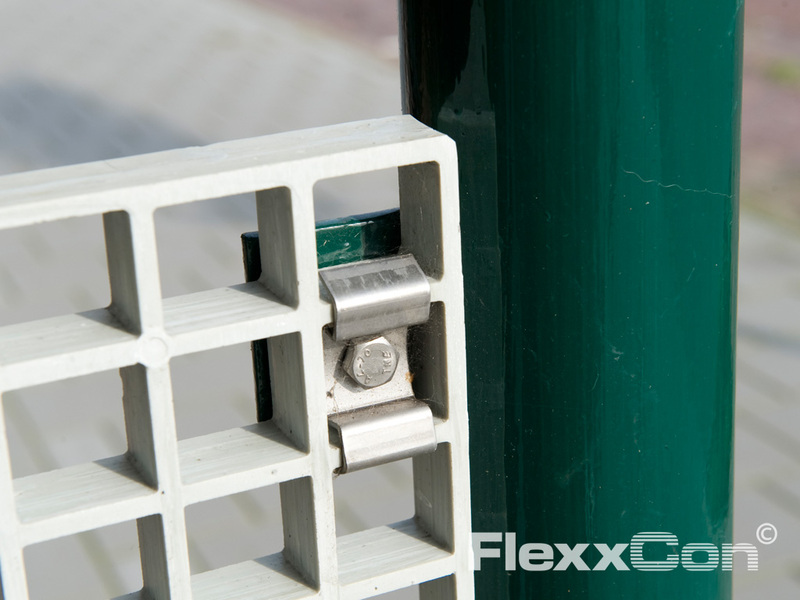 FRP grating (moulded) is available in the grating thicknesses: 13, 25, 30, 38 and 50 millimetres. 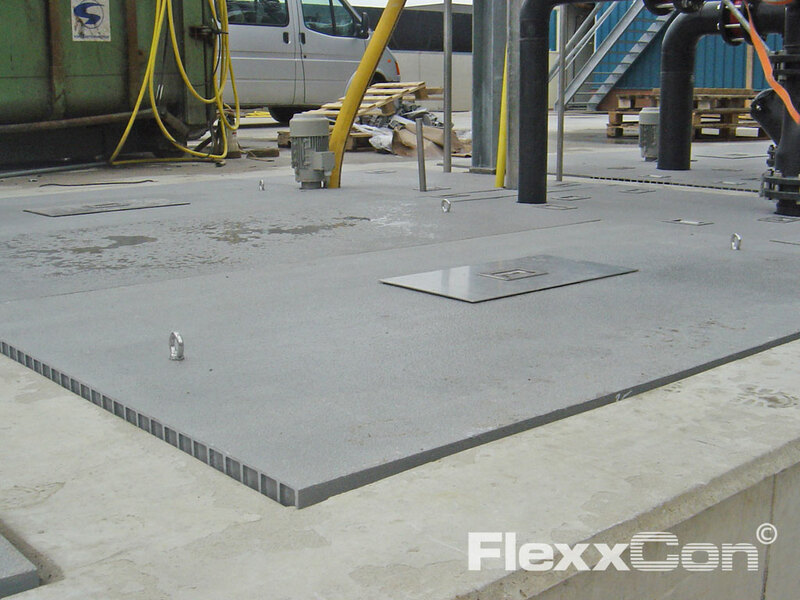 The FRP (GRP) grating panels are available in various lengths and sizes. 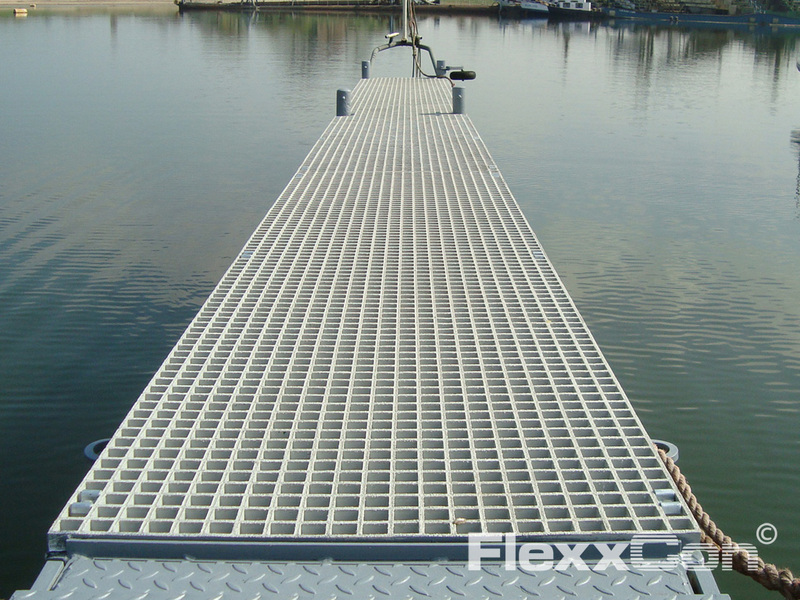 FRP (GRP) grating, high-strength, safe and very versatile! 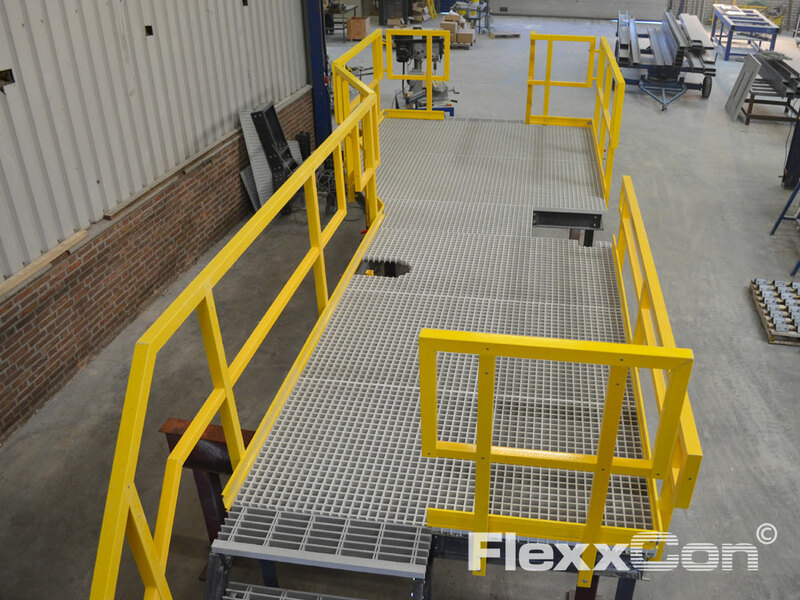 Use of FRP grating contributes significantly to safety, corrosion resistance, durability and low maintenance control of e.g. platforms and installations. 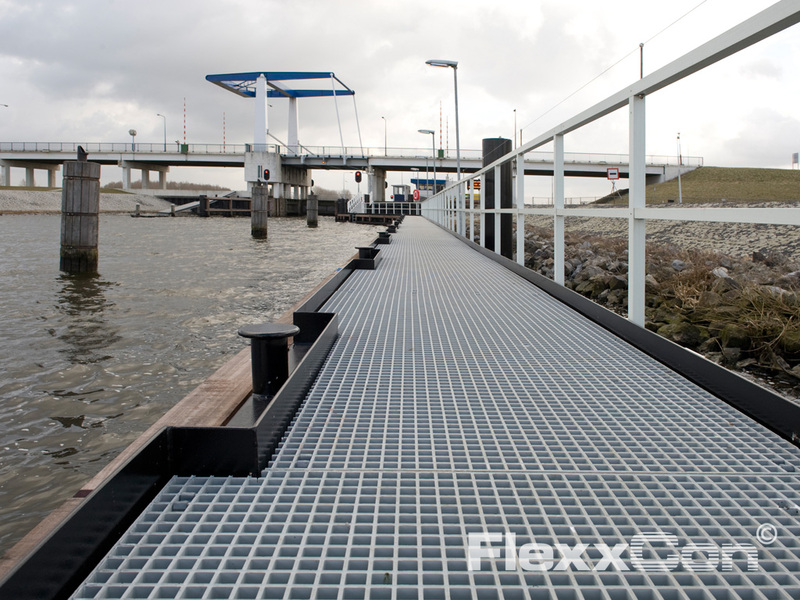 Furthermore, FRP grating is also an excellent alternative to steel, wooden and concrete grating. Fiber Reinforced Plastic grating is very versatile in application, e.g. 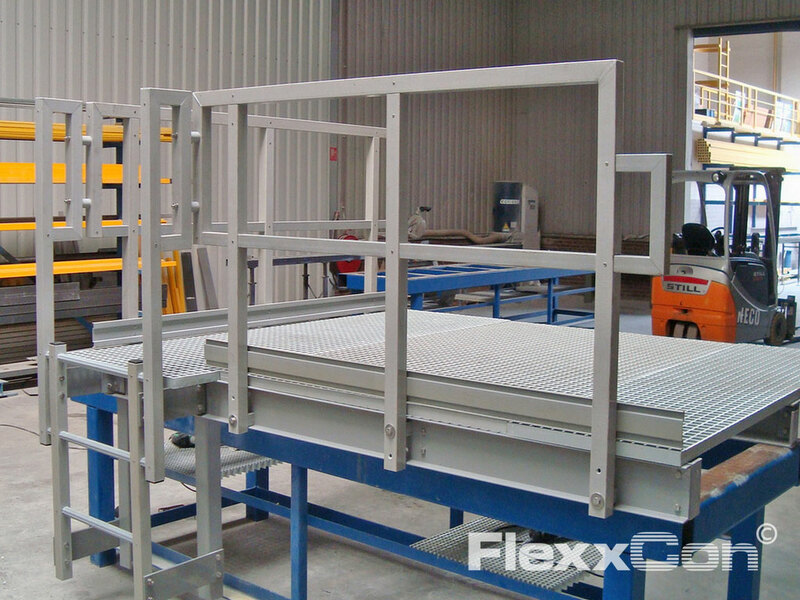 floors, walkways, staircases, landings, platforms, drainage gutters, cable ducts, production and storage spaces, mezzanines, (water) discharge channels, etc. 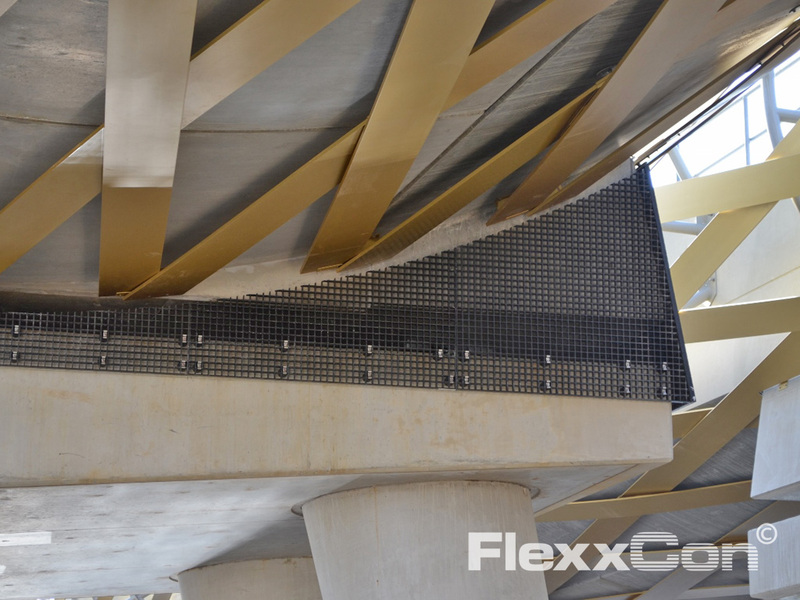 Cast Fibreglass Reinforced Plastic (FRP) grating is recommended when corrosion and safety are important issues. 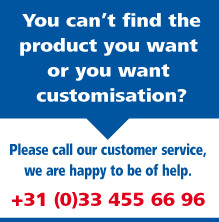 We can advise you on the type of grating, a grating installation plan and customisation, entirely without obligation. Do you want to know more about FRP grating? 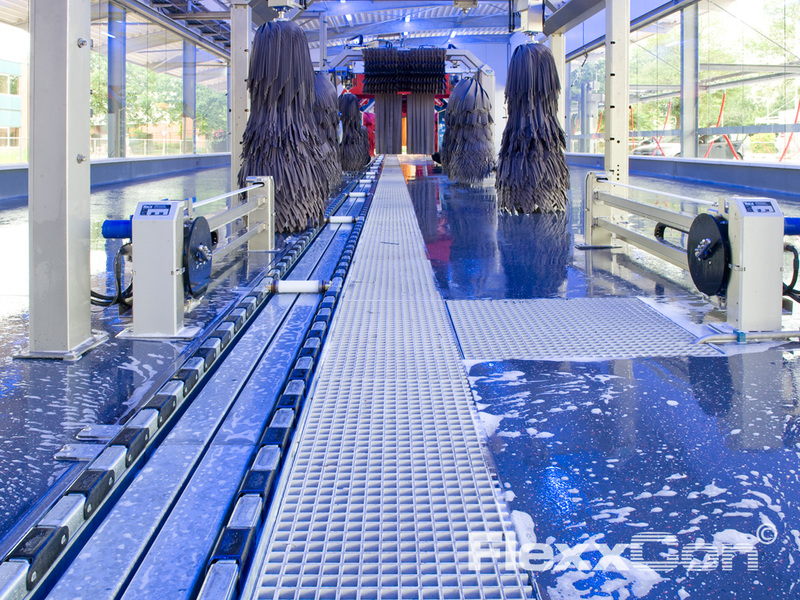 Please call FlexxCon: +31 (0)33 455 66 96 or send an e-mail.